You want your business to be data-driven, but it takes too long to get the reports and insights that you need to take informed action. The problem is 80% of your teams time is spent on low-value data processing tasks. Through our Advise platform, we help companies to address this imbalance by automating the data process and building domain-specific decision support systems. This arms your teams with the tools and critically the time to do what they do best, understand your business problems and drive change. No more partial spreadsheets or repetitive manual data processing tasks. We bring your key data into one integrated data layer. We apply the best in machine learning and recommender systems technology to guide your teams to better data-driven business decision making. With the Advise platform, your employees can focus their valuable time on taking the right actions to drive change, aided by our decision support systems. 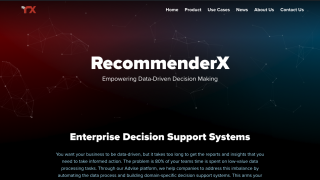 RecommenderX have a proven track record on designing, building and deploying several automated self-service global data analytics platforms, leveraging the actionable business insights and recommendations. At Unilever, we are hugely excited to have started on a journey with RecommenderX to create ONE unified view of our World that we believe will help us recommend actions, increase productivity and ultimately revenues across our local and global operation. 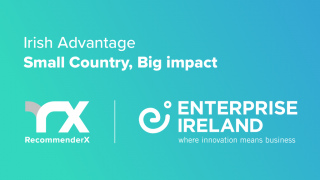 RecommenderX has been recognised by Enterprise Ireland as an innovative technology company as part of their Irish Advantage campaigns for St. Patricks Day 2019! We are excited to announce the redesign of recommenderx.com to celebrate the great progress that has been made in the development of our Advise platform. 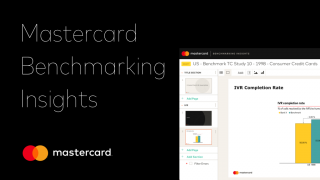 The Mastercard Benchmarking Insights (MBI) platform, developed by RecommenderX, has been launched into production today.